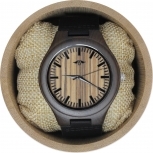 This Maple Wood Men's Watch from Angie Wood Creations has a playful attitude that makes it ideal for casual and smart casual events. 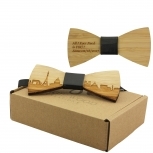 It is beautifully designed and constructed from quality maple wood and supported by a multi-link maple bracelet. This men's watch makes a classy statement about your sense of style. Enhanced with numerous sub dials and finished with stylish black and silver bar markers, this wooden analog watch is truly quite remarkable. Whether you buy it for the added features, the quality handicraft or just for the aesthetics of the piece, we can guarantee you will not be disappointed. FASHION-CONSCIOUS MAPLE: While maple is indeed a wonderfully sustainable wood option due to the fast-growing nature of the tree, it is also extremely beautiful. 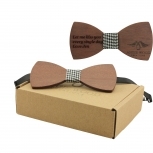 The maple grain provides a smooth and attractive finish, particularly with its intricate lines and markings. 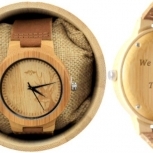 The modern men's watch presents the wearer with an all-time classic wooden watch style that will never date. 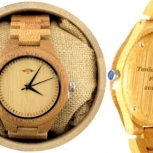 RANGE OF SUB DIALS: Love them or loathe them, sub dials can come in handy depending on your hobbies and interests, and there is no denying that they are well situated to bring out the best in this snazzy men's wooden watch. 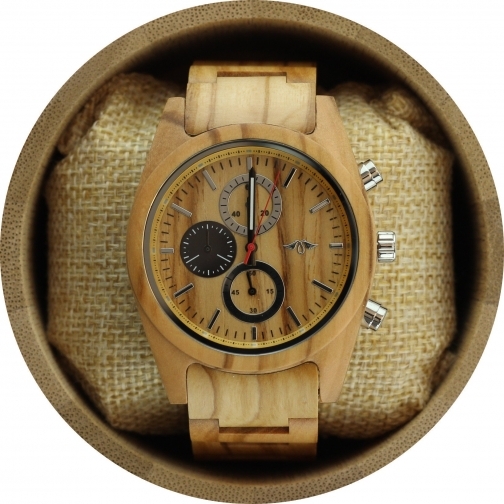 Featuring a chronograph and sub dials measuring seconds, minutes and hours, this Maple Wood Men's Watch offers a stunning and sturdy accessory option. 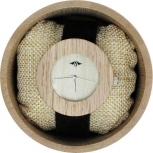 SILVER ACCENTS: This maple wood watch is exquisitely enhanced by shiny silver accent pieces. It features a silver crown, dial ring, large dials, bar markers and an appropriately matched Angie Wood Creations' logo giving the watch a stately air of elegance. The stark silver embellishments and all-natural wood tones of the maple complement each other superbly. Note that we use a Chinese manufacturer for our production, we design the watch along with them and produce it. We then customize the watch to your liking ourselves, in our shop and ship it directly to you from our shop in Deux-Montagnes Quebec,Canada.Superior customer service is always at the forefront of our mind, 100% satisfaction guaranteed.